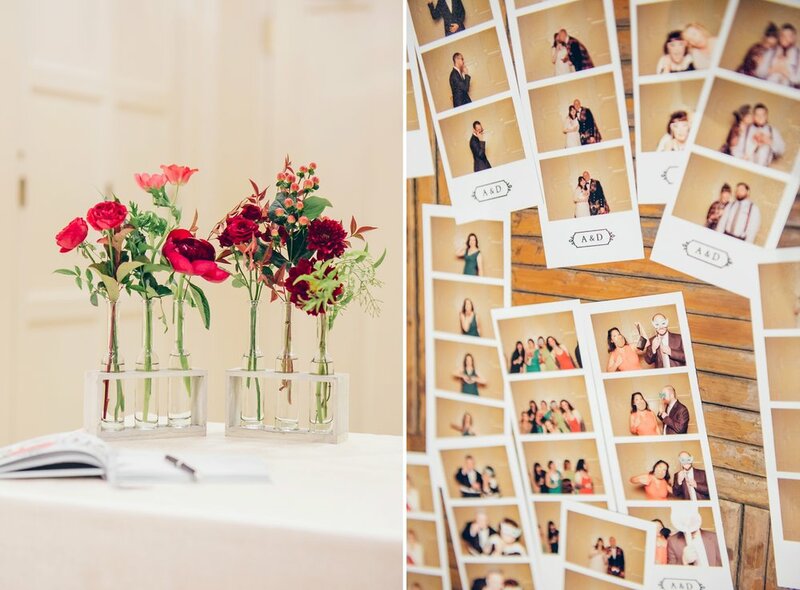 It's a great way to get amazing candids of your guests. • Prints 2 copies, one for guests, one for your guest book. • The booth prints 2 identical strips on one piece of 4x6 paper. Which we cut into two. WE give one to guests, and ask them to put the other in your guest book. If you don’t want a guest book, we can either keep the 2nd set for you or also give those to your guests. *Please let us know your preference. • The Digital files will be added to your wedding gallery. 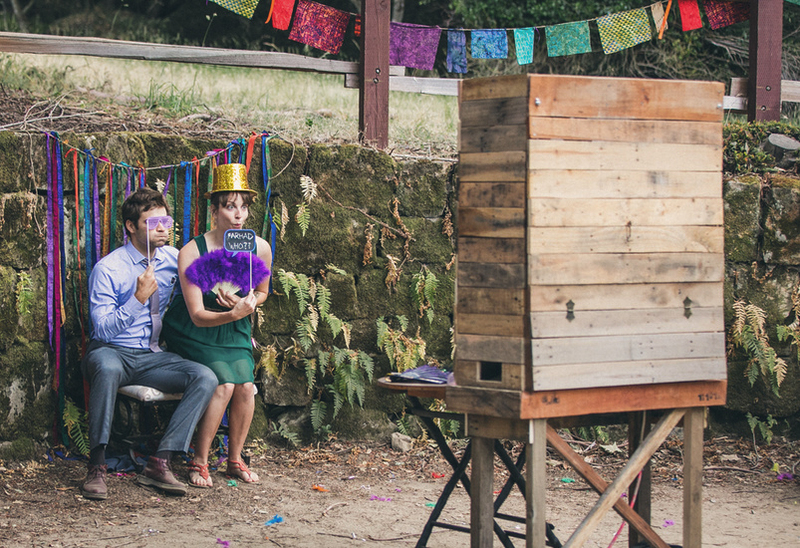 We recommend that you personalize your photos & experience with your own themed props. Physical props like hats vs hat on a stick is also nicer. It's always better when folks choose their own unique props. Some of you come up with some really great ones. See photos to see what I mean. But we do have a suitcase of random props in case you need it. • A set of standard stick props. • Personalized template with newlywed’s name + date. • Instant prints/Paper & Ink. • The booth is an open air booth. It will need to be a minimum of 5' from the background/wall. • We usually set up when dinner starts. And try to be ready by the end of dinner. *See additional info, about idle time. • To be near a working 3 prong outlet. • Ambient light in the photo booth area. Like stringed lights or some other existing venue lighting. This is important, so that it's not too dark for photos. •If you’d like us to use your font or logo from your wedding invites for your prints, please give us the files etc. Otherwise we will use a simple font for your name + date. • A table for guest book + props. • Table lamp if the area is dim, so guests can see the guest book. • Special pens + washi tape or double sided tape of your choice for the guest book. •If you wish to have the booth during cocktail hr & after dinner, idle time including the attendant’s presence once the booth is set up billed at $100/hr.